In hopes of giving you a better understanding of the philosophical foundation at Balanced Achievement, we have created a ‘Balanced Achievement 101’ series that reviews the various components that merge together to form our teaching ideology. In each article (links can be found at the bottom of this page) we outline the given topic, discuss important historical information, and examine key educational concepts that are relevant to the teachings at Balanced Achievement. In this article, we explore the indispensable personal practice of meditation in Meditation 101. If you regularly visit Balanced Achievement, it should be quite apparent to see how important we believe the practice of meditation to be. The majority of our articles will feature at least a small snidbit about meditation, mindfulness, consciousness, or self-awareness. The benefits that individuals can obtain from undertaking a regular meditation practice have been well documented, and it is our belief that each and everyone of us can attain higher levels of life fulfillment by making our practice a priority. For those of you who are new to meditation, interested in learning more about it, or struggling to maintain a regular routine, this article will hopefully provide you with the information you need to start and/or maintain a consistent and life-affirming meditation practice. We will begin our meditation exploration by first briefly discussing the history of the practice. Then we will shift our attention to examine the Who, What, When, Where, Why and How of Meditation. By pondering the practice in this easy and understandable way, we hope to supply you with the resources and reasons to start practicing today. A short guided meditation video will also be provided near the end of the article. 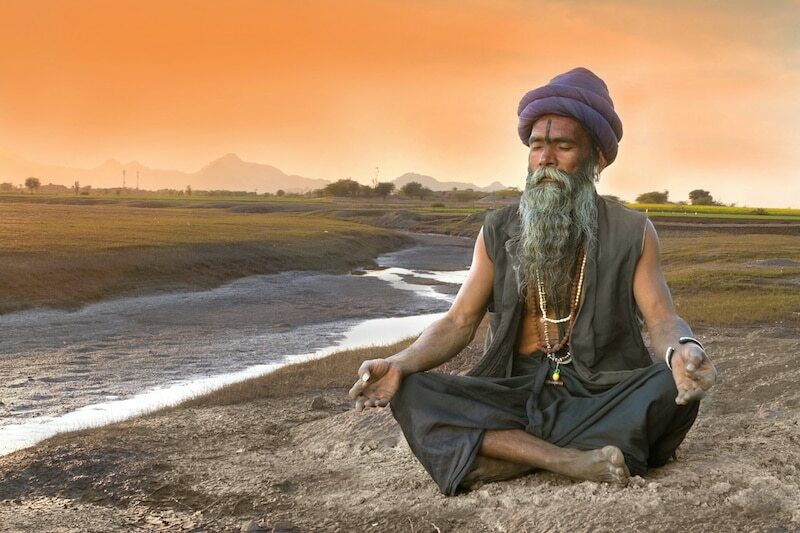 Similar to the religion of Hinduism, the exact roots of meditation are unknown and predate recorded history. This similarity, and other important clues, have lead many to the conclusion that the history of meditation can be parallelly traced back with the Hindu religion to the Indus Valley Civilization around 5,000-3,500 B.C.E. It is believed that around 1750 B.C.E. a group of Nomadic wanders, the Aryans, made their way from the Plateau of Iran into modern day India and encountered a sophisticated culture known as the Indus Valley Civilization. Scholars suppose that the birth of modern day Hinduism, although verifiably unknown, took place when these two cultures assimilated into one. The Indus Valley Civilization was only discovered and excavated in the 1920s, but with this discover came important clues about the history of Hinduism and meditation. It was here where Archeologists found, amongst other things, ancient seals that depicted a spiritual seeker, a yogi, in a traditional meditation posture. The first recorded written evidence documenting meditative practices were also found in the Indus Valley. These writings, called tantras, can be traced back to around 1500 B.C.E.. The practice of meditation is not only deeply rooted in the Hindu tradition, but nearly every Asian spiritual tradition. Other pre common era findings show that meditative practices were being used in other Asian cultures around 600 B.C.E.. And today, meditation remains a key practice to nearly every religion in the eastern world, including Hinduism, Buddhism, Jainism, Taoism, Confucianism, and Sikhism. If the roots of meditation can be traced back to the Indus Valley, or at the very least the Asian continent, it is from here that the practice spread to the west. Now, in nearly every part of the modern world, meditation practices are, at the very least, recognizable by Hindus, Jews, Muslims, Christians, and Buddhists alike. The practice of meditation, however, didn’t gain popularity in the United States until the 1960s, but within the last 20 years has seen unprecedented interest in the practice. Today it is estimated that 8% of adult Americans practice some form of meditation on a regular basis. With religious statistics, in the United States, pointing out that under 2% of the American population associates with the Asian spiritual traditions, namely Buddhism and Hinduism, it is apparent to see that a large portion of meditators in the United States either don’t identify with a religion or associate with a religion that traditionally doesn’t teach meditation as a religious practice. These facts shows one of the practice’s greatest strengths. You, and everyone you know, can establish a formalized meditation practice that will not go against your religious belief and, as you will soon find out, positively affect your life in a multitude of ways. Over the past 10 years, the practice of meditation has continually grown in popularity throughout the United States. As scientific research continues to verify the positive benefits of meditation, more and more individuals are becoming interested in the practice, yet many still misunderstand what meditation actually is. We may have been told that meditation is an extremely difficult practice that take years to benefit from, we may have been told that meditation is a waste of time, or we may have heard that it is a way to escape reality. These however are all incredibly misleading statements about meditative practices. The truth is that meditation is a simple process that is used to reconnect yourself with your most innate nature, and individuals, who start a practice, can notice beneficial results in as little as 2 weeks. The process of meditation is this and nothing more. As meditative practice expanded to various parts of the world, different types of techniques and strategies have been created and used, but the general concept remains the same: Turning your attention away from distracting thoughts and focusing your mind in the present moment. To do this, meditators will use the two key mental meditation components: concentration and mindfulness. They will use their conscious decision-making abilities to concentrate their minds on an object of focus, while also using their natural mindfulness abilities to monitor their levels of concentration and return their focus back to the particular object when their attention wanders. This state of mindful awareness, consciousness, or self-awareness, is said to be our most natural state, which is easy to notice when you watch a 2-year-old child run around a room fascinated by each and every object. Meditation is the practice of concentrating the mind on a particular object of focus, while also using our mindful awareness to remain in the present moment. Many people falsely believe that they do not have enough time to meditate or that meditation is a waste of time. Either way, both of these are comically wrong. In actuality, individuals who meditate are using their time in the most life-affirming way possible. Due to the benefits one receives, it is vital for us to find the time to practice meditation on a daily basis. Depending on your schedule and circumstances, you may believe that it’s hard for you to maintain a regular practice. It is recommended that individuals should meditate for no less then 15 minutes, twice daily. Ideally we should strive to practice for 30 minutes twice each day, and particular types of meditation techniques will even prescribe a total of 2 hours daily. While it may not be possible for you to meditate for 1 or 2 hours everyday, this doesn’t mean you can’t see benefits from shorter practices. Even if you are are only capable of giving 5 or 10 minutes in the morning and evening, you will certainly see benefits in your live. If you are new to meditation, and don’t believe you have the time to practice for 40 minutes or 1 hour each day, start with 5 minutes in the morning and 5 in the evening before working yourself up to 10, 15, and 20 daily minute sessions. Or if you can only give 5 or 10 minutes in the morning, you will still be able to see beneficial changes in your life. Meditators should strive to meditate for at least 20-30 minutes twice daily. The best environments to practice meditation all have comparable qualities. We should strive to find places that are quiet and as distraction free as possible. These places should also be comfortable, peaceful, and familiar. The ideal meditation environment is quiet, comfortable, familiar, and distraction-free. As the popularity of meditation in the United States has continued to grow, so to has the scientific research into the practice’s affects on the brains and lives of meditators. With this scientifically based exploration, results have and will continue to prove the undeniable benefits individuals obtain from meditating. If you have not meditated long-term, it can be quite easy to see who and who hasn’t used the practice to increase their conscious awareness, or mindfulness. Many in our societies spend large portions of their days in a zombified state letting the thoughts in their mind consume their activities. Without even being aware of it, these individuals will live completely in their heads replaying past events and visualizing potential future scenarios. One of the most important reasons we should meditate is because the practice directly leads to higher levels of consciousness, self-awareness, or mindfulness. Right now you have the ability to almost come outside of your body and analyze what you are doing. This is mindfulness, and this is what meditation gives to us. With higher levels of mindfulness, we can more completely enjoy life in the present moment, where true happiness resides. In the world of spirituality, it is believed that this state of present-moment awareness is our most innate nature, it is our true-self, and many consider it to be the soul. Not only can we deepen our connection with what in Hinduism is referred to as Atman, but we also allow ourselves to more completely understand the reality we find ourselves in. For example, our understanding of impermanence, or the constantly changing nature of everything, will remain hidden behind the veil of the ego without meditation. Another important benefit in the eyes of spiritual seekers is that our connection to our deepest nature helps us connect more completely with the outside world. There is no doubting that these spiritual benefits can increase the levels of fulfillment that you live with in numerous ways, but if they are not enough to push you to start meditating, don’t worry there is more. A proper, and regular, meditation practice can help us get in touch with our most innate nature, improve our understanding of universal wisdom, and positively alter our lives at the psychological, psychical, and emotional levels. Who: You, and everyone you know, can establish a formalized meditation practice. What:Meditation is the practice of concentrating the mind on a particular object of focus, while also using mindful awareness to remain in the present moment. When: Meditators should strive to meditate for at least 20-30 minutes twice daily, although beginners may start with a shorter time-span. Where: While it may not always be possible to find, the ideal meditation environment is quiet, comfortable, and distraction-free. Why: A proper, and regular, meditation practice can help us get in touch with our most innate nature, improve our understanding of universal wisdom, and improve our lives at the psychological, psychical, and emotional levels. In the world of spirituality, there is a great amount of attention paid to the posture utilized during practice. While we believe that a proper meditation posture is useful for meditators, it is by no means a necessity. There are, however, a few key components of the traditional meditation posture that should be adopted for your practice. It is important to sit in an erect position with your spine straight and head up. This will ensure that you are breathing freely and that you do not become drowsy or sleepy during the practice. Beyond our spine and head, we want the rest of our body to remain completely relaxed. Our shoulders, jaw, arms, and legs should all be completely relaxed, as this will allow you to more deeply settle in the experience. You will also want to close your eyes. Also remember, if you are not comfortable sitting crossed-legged, you can always sit in a more practice-supporting chair. We briefly describe the two most important components of meditation, concentration and mindfulness, and now we will explore how to use them while meditating. As you start to meditate, with your eyes closed, you will want to focus your attention on watching your breathe flow in and out of your nostrils. You will probably notice the air touching the inside of your nostrils, and the goal of the practice is to keep the mind presently focused on the inhalation and exhalation of your breath for the entire practice. It is, however, highly unlikely that you will be able to maintain this concentration throughout the entirety of your practice. We will discuss how our focus drifts shortly, but it is important to understand that when our attention drifts away from the breath, we use our natural ability of mindfulness to recognize how our mind has become distracted and refocus it on the breath. There are a number of easily recognizable sources that will cause your mind to wander. If you are a new meditator, you will certainly begin to notice a constant stream of thoughts that come into your head and leave like the waves of an ocean. You may notice particular bodily sensations, such as a tingling in your foot, or you may become distracted by noises in your environment, such as a dog barking. When any of these take your focus away from watching your breath, you want to first use your ability to be mindful and recognize that you have lost focus, and after you recognize this, bring your mind’s focus back to your breath. It is important to not try and push particular thoughts away, or allow your mind to run with them, just bring your focus back to the breath in a non-judgmental way. Spiritual gurus will tell you that you are not your thoughts, feelings, or emotions, and it is important not to associate with them. However, you don’t want to repress them either, as this will only make them stronger. Just notice that they are there, accept your current situation and practice as it is, and return to the breath. Now that you have finished, how was the practice for you? Were you able to concentrate your mind on your breath for the entire 5 minutes? Were you able to differentiate your deeper awareness, your true self, from the thoughts of your ego and impermanent body? The practice of meditation is the single most important tool found within the Balanced Achievement teachings. All of us can benefit from a meditative practice in literally countless ways. At Balanced Achievement we believe that meditation can not only help us get in touch with our deeper nature, but also assist us on the path towards external success. Spiritually speaking, the practice of meditation allows each and everyone of us to get in touch with our Atman, True Self, or Soul. When we are able to connect with the deepest part of ourselves on a regular basis, we can start to live our lives from this place on a more permanent basis. Gurus will tell you that because of the mind’s uncanny abilities, we respond to situations with input from our conditioned minds and relinquish our decision-making powers. Meditation very much reverses this process. Furthermore, instead of worrying about past events and thinking about future pleasures, we can begin to live wholly in the present moment where true happiness resides. Finally, by experiencing the truth of impermanence, we can begin the process of unmasking the illusion that keeps us from experience true bliss and fulfillment. At a more personal level, meditation offers us the opportunity to let go of negative mindsets, while also uncovering desires that will bring us what we truly want, fulfillment. It will also improve our relationships with others. In addition, by regularly meditating and increasing our self-awareness, we can use this new found ability to monitor our progress as we try to achieve externally. When we figure out what is not working, we notice it and use this same conscious awareness to change our achievement approach. Finally, you will have the ability to watch your internal dialogue patters and make changes to limiting beliefs. It should now be quite apparent to see that meditation is an easy practice that offers us the ability to improve our lives in countless ways. We hope that you have enjoyed this installment of ‘Balanced Achievement 101’, and we hope to see you on Friday when we look at the ancient Indian tradition of Ayurvedic Medicine.